Congressional candidate Sukhee Kang (left) with his supporters. Two Asian American Democrats running for Congress in Southern California on Nov. 6 were unsuccessful in unseating the Republican incumbents — and lost by almost identical margins. In the 39th Congressional District, which includes Fullerton and Rowland Heights, Hacienda-La Puente School Board member Jay Chen received 88,543 votes (40.9 percent) to Rep. Ed Royce’s 128,026 (59.1 percent). “Thank you so much for being a part of this amazing journey,” Chen said in a message to his supporters. “While we did not achieve the electoral victory we sought, we accomplished far more than many thought possible when we announced that we would challenge the status quo. “Despite being outspent 5 to 1, we carried Los Angeles County and gave my opponent the toughest and closest race he has had in 20 years. He spent nearly $4 million on this election, more than any other Republican in California, and we weathered one of the most negative campaigns our region has ever seen. Nevertheless we still won … over 40 percent of votes cast. In the 45th Congressional District, Irvine Mayor Sukhee Kang received 108,500 votes (40.9 percent) to Rep. John Campbell’s 156,770 (59.1 percent). 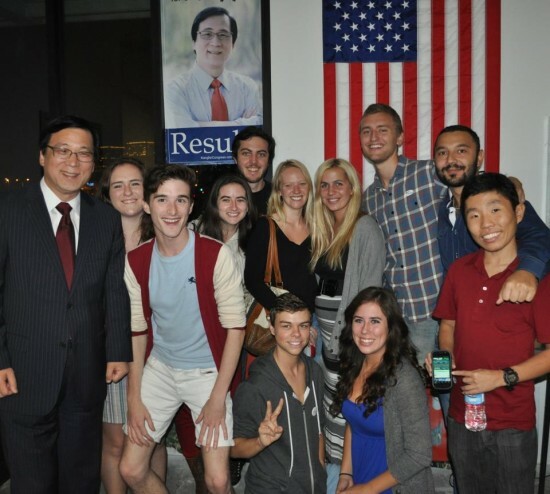 “The 2012 election is decided and I want to personally thank everyone who participated, voted, volunteered and supported this effort to bring positive results to Congress,” Kang told his supporters. “I am grateful that I had the opportunity to run a robust campaign and to have worked with so many outstanding community members and leaders. “This campaign has been one of the most rewarding experiences of my life. On Election Day, 40 percent of the voters … cast their votes for my election. I am humbled and grateful for this support. “Although we did not achieve a seat in Congress, we can be proud of the victories we achieved as a team and a community. We ran a positive campaign fueled by the energy and enthusiasm of supporters. This campaign inspired many young citizens to get involved and take responsibility for positive change in their community. “Our campaign was truly a grassroots effort. We mobilized a vast regional network, activated high school and college students, partnered with senior citizens, and demonstrated that community-based campaigning is still effective in politics. “The relationships and promising individuals developed through this campaign will have a lasting impact on our communities. Those are results worth celebrating. All of this has been an inspiration and a blessing. Moving forward, I will continue working hard to deliver positive results for you and our community. 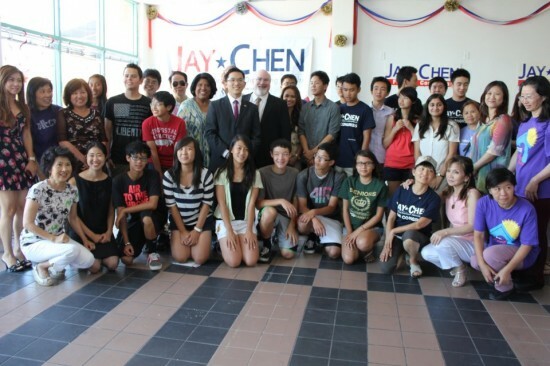 Congressional candidate Jay Chen (second row, center) with his supporters.